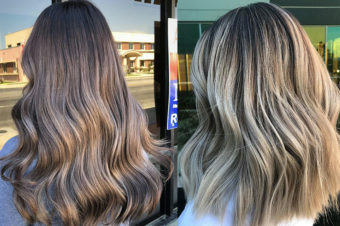 You’ve probably heard the word, but do you actually know what balayage is all about? “Balayage is a French word meaning to sweep or to paint,” explains Jack Howard – the man credited with bringing balayage to the UK, based at London salon, Paul Edmonds. “It allows for a sun-kissed natural looking hair colour. Think of what your happened to your hair in the sun as a child – that amazing, naturally highlighted look – that’s what balayage is all about. 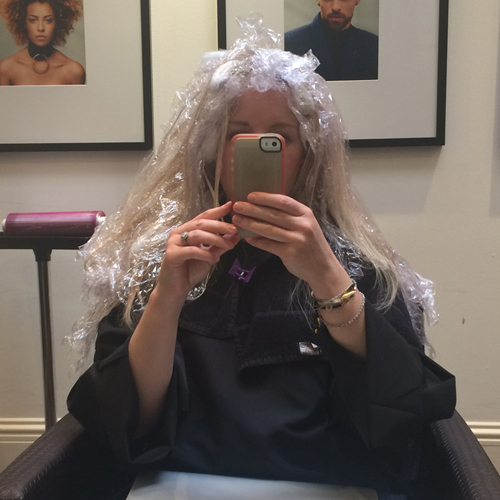 In terms of the process, there are no foils. 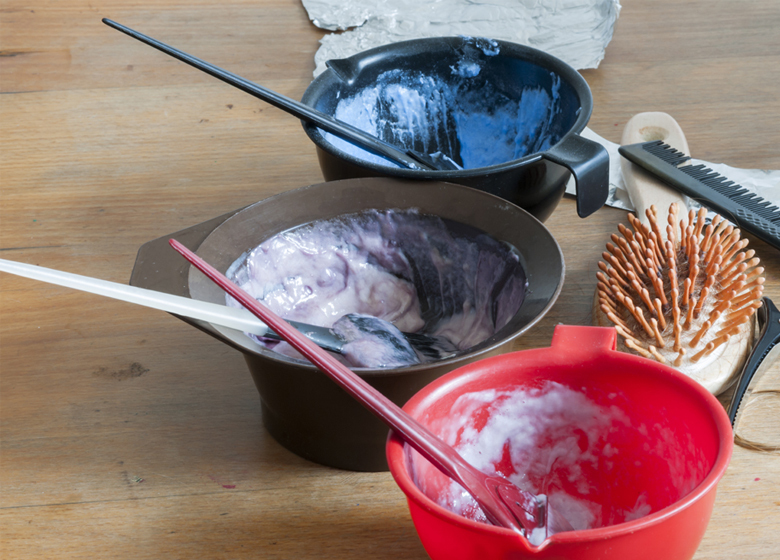 Instead your stylist should come armed with the colour mixed up in pots, cotton wool balls or strips to pop under each section of balayaged hair to prevent the colour from touching the scalp and running into another section, special hairdresser cling-film that gets sandwiched between the cotton wool to provide a bit more protection and warm the colour up and an artist-like paint palette which is used to apply the colour freehand with a brush, very much like Vincent Van Gogh. Just take a look at SJ who is modelling the balayage process for us – this is what you can expect to look like in the salon. What that means in simple speak is that this unique application method makes everything look softer and more blurred. That then means you can go longer between hair appointments as you won’t get that obvious root regrowth you get with foils because you don’t have the hard lines. Result. 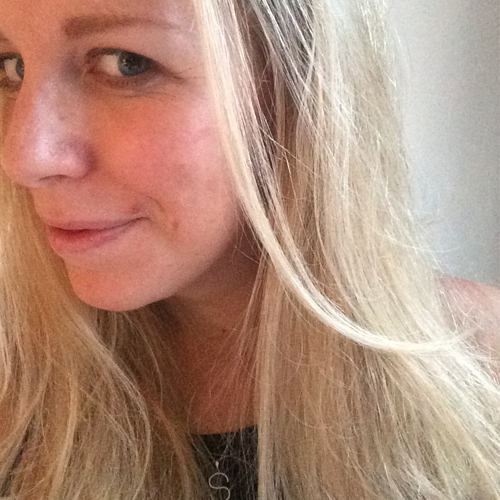 Take a gander at SJ’s ‘after’ balayage shot. The lack of foils also means that colouring should be much faster. The development time is shorter as the cling-film generates a surprising amount of heat. If you’re not keen on spending hours in the salon chair, then balayage is a winner for that alone. But more importantly than that, is the end result. 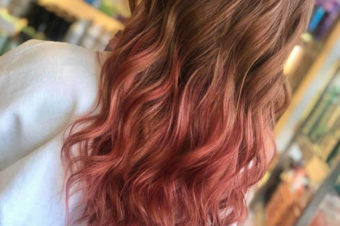 You will end up with a colour that looks totally natural and because the of the way the colour is painted onto the hair it makes it impossible to see where it starts and finishes making it appear like this is your natural hair colour (we wish). Of course this is down to the skill and mastery of your stylist, but is ultimately what balayage is all about.